The secret’s out on this Germantown Neighbor. With its prime location walkable to downtown and Germantown, it won’t be long before this little neighborhood is almost indistinguishable from its southern neighbor, Hope Gardens. Historic bungalows and historically-designed new construction cottages dot these quiet treed and sidewalked streets offering some of the best views you can find of the downtown skyline. As home to one of Nashville’s favorite brunch spots, Historic Buena Vista is already gathering its share of trendy dining options, but downtown and Germantown are just blocks away and offer endless culinary options to please even the pickiest eater. Also within walking distance are the Nashville’s farmers market, the state capitol, and with a bit of a hike, even the downtown riverfront. The secret’s out on this Germantown Neighbor. With its prime location walkable to downtown and Germantown, it won’t be long before this little neighborhood is almost indistinguishable from its southern neighbor, Hope Gardens. Historic bungalows and historically-designed new construction cottages dot these quiet treed and sidewalked streets offering some of the best views you can find of the downtown skyline. 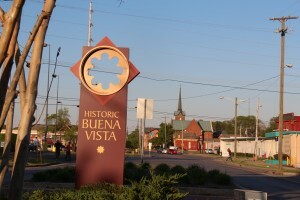 As home to one of Nashville’s favorite brunch spots, Historic Buena Vista is already gathering its share of trendy dining options, but downtown and Germantown are just blocks away and offer endless culinary options to please even the pickiest eater. Also within walking distance are the Nashville’s farmers market, the state capitol, and with a bit of a hike, even the downtown riverfront.